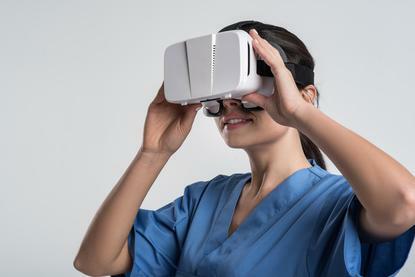 Three Australian research teams have been awarded $520,000 to develop virtual reality tools and therapies to support young people with cancer. The Children's Hospital at Westmead, Sydney; the Garvan Institute of Medial Research; and a joint project between researchers at Liverpool Hospital and The MARCS Institute at Western Sydney University were named as the recipients of grants today, which are backed by the Sony Foundation Australia, the charity arm of the Sony group of companies, and Australian cancer charity, Tour de Cure. Associate Professor Dan Catchpoole at The Children’s Hospital at Westmead, will utilise VR to explore large groups of young people suffering from cancer, focusing on their specific genetic and biological information and comparing them to each other. “This will allow researchers to identify the unique genetic and biological traits that characterise each patient, and ultimately inform a clinician on the best possible therapy for the individual cancer patient,” Sony Foundation Australia said today. Professor Sean O’Donoghue at Garvan will leverage VR to create three dimensional models to help medical professionals visually represent what is happening within cancerous tumours on a molecular level. The work will draw on Aquaria, a web resource jointly developed at Garvan Institute and CSIRO, which contains over 100 million ‘snapshots’ of molecules as they move and carry out their function within a cell. “The platform will allow researchers to more easily ﬁnd and interactively explore dynamic molecular events relevant to the cancer in either individual patients, or in groups of patients,” O’Donoghue said. “We will draw on our team’s expertise to develop computational methods that let patients and researchers ‘interact’ with 3D models of molecules in virtual reality using simple, intuitive hand gestures,” he added. The visualisations will also be used to aid youth cancer patients in better understanding their condition. Professor Alwin Chuan from University of New South Wales and Liverpool Hospital and Professor Kate Stevens from The MARCS Institute will use their grant to provide cancer patien ts with ongoing and readily available virtual psychologists and cognitive pain management therapies. “This will come in the form of VR psychologists and visual therapies, allowing a patient to direct their own pain management and empower them to manage their own therapy, in their own time,” Sony Foundation Australia said. In Australia, around a thousand people aged 15 to 25 are diagnosed with cancer every year. Despite survival rates of cancer patients improving dramatically over recent decades, young people suffer the lowest rate of survival. Less than six per cent of all cancer research funding is applied to youth cancer research. “We realised that Sony Foundation was in a unique position to help facilitate the collaboration between innovative Sony technology and its developers with cancer researchers to help close a gap in research specifically addressing youth cancer. We’re excited to see the new ground forged as a result of this research funding,” said Sophie Ryan, CEO of Sony Foundation Australia. The funding program pairs traditional cancer research organisations with VR content creators and developers in a bid to bring the “two fields together to make ground-breaking discoveries to benefit young Australians,” Ryan added.